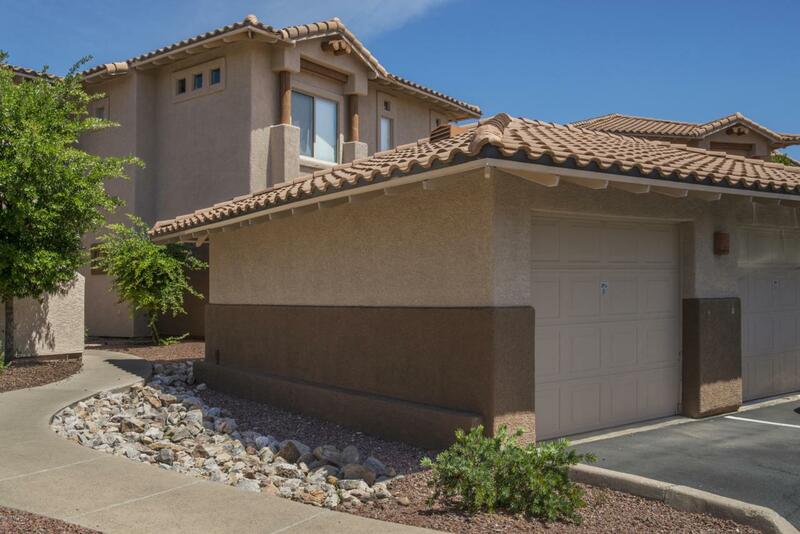 WITH GARAGE- Popular Patagonia TWO bedroom TWO bath second floor condo with TWO master suites at the Vistoso Resort Casitas sold with detached garage and turnkey (what you see if what you get). Turnkey means all furnishings and accessories are included. The large balcony has beautiful mountain views of the Catalinas and faces the center of the complex containing the pool and common areas. HOA fees now include WIFI within unit, water, pest control including termites, roof, exterior paint and upkeep, clubhouse, heated pool all year, trash, recycling and more.